Twenty-five years ago this week in Oslo, a man who describes himself as a simple Buddhist monk was awarded the Nobel peace prize. His Holiness the Dalai Lama, the spiritual leader of the Tibetan people and the inspiration of my life’s work, remains a towering figure on the world stage. His message of peace, and emphasis on values of compassion and tolerance, have never mattered more in a world in which moral leadership is in scarce supply. This week, the Dalai Lama marks the anniversary of the peace prize, a turning point in global acknowledgement of the Tibetan people’s peaceful struggle for freedom, at the 14th world summit of Nobel peace laureates in Rome. In a remarkable turn of events, Nobel laureates refused to attend the original summit, scheduled for September in South Africa, when the Dalai Lama was denied a visa owing to Chinese pressure on President Zuma’s government. Their actions were a deep demonstration of solidarity, and sent a clear message to the Chinese leadership. Ultimately, in a world in which China has increasing diplomatic heft, too much accommodation of an authoritarian power that seeks to impose its own political and commercial agenda ultimately undermines democratic values and interests. As the leader of the Central Tibetan Administration (CTA) in the Tibetans’ second home, in Dharamsala in India, I wish to see positive relationships between China and the rest of the world. But not on terms dictated by a leadership that seeks to undermine and overturn democratic values. Instead of willingly cooperating in the submission of these values – notably freedom of speech – the democracies should take the position of actively seeking to defend them, and influence China’s rise for the better. It has been profoundly moving for me and fellow Tibetans in exile to watch the “umbrella revolution” in Hong Kong. To witness these courageous young students, 25 years on from Tiananmen Square, determined to hold their ground peacefully and with such internal discipline despite the historic resonances, is an indication that democracy is touching the shores of China. Tibetans in Tibet have endured many decades of occupation, repression and loss, as the Chinese party-state has adopted a harsh and systematic approach to silencing Tibetans and suppressing dissent, with leaders calling for support of the Dalai Lama to be “crushed”. Internationally, the Beijing leadership has launched a virulent propaganda offensive against this revered exiled monk, and sought to disrupt and politicise international forums, such as the UN, which have challenged China’s human rights record in Tibet. And yet this concerted effort has had little effect: the Dalai Lama’s influence inside Tibet remains undimmed, with Tibetans risking their lives to express their loyalty to him. Globally, he retains a moral authority the leaders in Beijing can only dream of. In a world riven by conflict and violence, the peaceful nature of the Tibetan struggle, because of the Dalai Lama’s influence, is an inspiration to a new generation inside Tibet that leads the struggle to protect their national identity, dignity and culture. Schoolchildren link hands and march to government education offices to protest when textbooks use Chinese and not the Tibetan language. Young monks study the precepts of their religion in monasteries run by Chinese cadres, even though they know that if they fail to denounce the Dalai Lama they could be dragged away in the middle of the night to face torture and imprisonment. Tibetans living in exile seek to stand in solidarity with our brothers and sisters in Tibet. We have put forward the Middle Way Approach for Genuine Autonomy for the Tibetan People to resolve the Tibet issue. It is a policy conceived by the Dalai Lama in 1974 in an effort to engage the Chinese government in dialogue and find a peaceful way to protect the unique Tibetan culture and identity. This policy has been democratically adopted through a series of discussions held over many decades by the Central Tibetan Administration and the Tibetan people. It is a win-win proposition that straddles the middle path between the status quo and independence – one that categorically rejects the present repressive policies of the Chinese government towards the Tibetan people while not seeking separation from the People’s Republic of China. 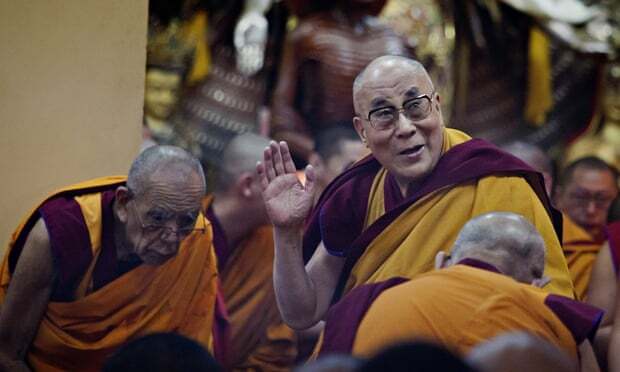 A fundamental change from 1989 is that His Holiness the Dalai Lama retired “happily, willingly and with pride” from his role as the political head of the Tibetan people in 2011. In the past few decades, he has gradually nudged the Tibetan exile polity towards democracy, sometimes in the face of resistance from Tibetans themselves. His Holiness’s vision of democracy has been a transformative experience for Tibetans, and is an inspiration for those in Tibet who live under repression on a daily basis. My election as Sikyong, or the political leader of the Tibetan people, in 2011 by the Tibetan diaspora in more than 40 countries around the world is the first since the Dalai Lama’s retirement from political leadership. In Rome this week, we are proud that His Holiness the Dalai Lama will stand shoulder to shoulder with other Nobel peace laureates including Archbishop Desmond Tutu, Shirin Ebadi, Mairead Maguire, Lech Walesa and Betty Williams, who also seek to stand up to oppression and insist upon resolving conflict through peaceful dialogue. Many of us will also reflect on the poignant absence from the summit of the Chinese Nobel peace laureate Liu Xiaobo, serving 11 years in prison as a result of his long, nonviolent work for human rights in China. The Nobel committee draws attention to the close connection between human rights and peace as a prerequisite for the “fraternity between nations” that Alfred Nobel hoped the prize would help to achieve. As we mark both International Human Rights Day and the 25th anniversary of the award of the Nobel peace prize to His Holiness the Dalai Lama, the threats to this vision are many, and the stakes are high. Moral leadership is in short supply. Let us celebrate that which we have.